I have an extremely strong family history of diabetes, and there is a significant likelihood that I am going to get it no matter what I do. And while sugar intake does not appear to directly lead to diabetes, (High sugar intake is often associated with excess body fat, which definitely DOES increase the risk of blood sugar issues. ), limiting sugary food absolutely does not hurt efforts to avoid diabetes. It is a tough balance for many people, including me, as trying to avoid sugar altogether is often a set-up for a binge. Like my coach Cliff Wilson said, while sugar intake (versus body fat and activity level and intensity) is not a significant factor in risk of diabetes for most people, for those like me it may very well be, and anyway, all things being equal it is better to eat clean than dirty. 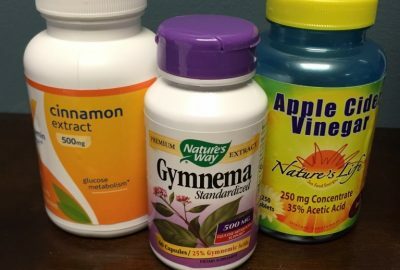 In the spirit of using every available tool to achieve better health, there are a number of supplements that show promise in lowering blood sugar. (And thousands more that claim to but do not.) Here are my three picks.